The most beautiful girls live in Kazan. Everyone who has visited the capital of Tatarstan says so and it's hard to disagree. There are blond stunners as well as fiery Eastern sirens, so on the first balmy spring days everyone takes to the streets – some to gape, other to enjoy watching the spectacle. However, as you walk around town you will also spot young women in long dresses and scarves almost completely covering their heads: Muslim girls in hijabs. The word hijab is of Arab origin, so in Kazan the talk is instead of “headscarves”. People here are different from their fellow citizens in other parts of Russia and most don't find this form of dress upsetting. 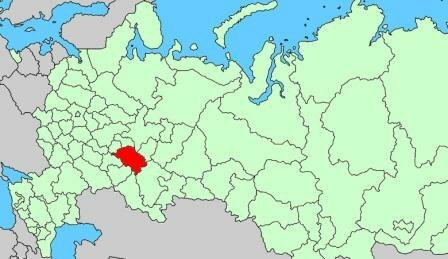 After all, Tatarstan is a predominantly Muslim region. But the issue does cause some controversy and sometimes bewilderment. If you look at late 19th century photographs of Tatar families, you will see that Tatar women didn't wear the hijab in its contemporary form. 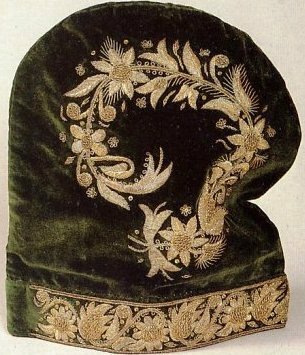 For many the only traditional Tatar head-covering for women was the kalfak, a small Tatar hat. If I'm honest, I too used to subscribe to this view. In the late 19th century, Tatar women didn't wear the hijab in its contemporary form. For many the only traditional Tatar head-covering for women was the kalfak, a small hat. Danis Garayev, a lecturer at the Russian Islamic University, set out to persuade me that this was not the case, explaining that only very affluent women could afford to wear a kalfak in everyday life. Besides, the little hat was not very convenient for working in the fields or around the house, so women preferred to wear headscarves, which are the truly traditional headdress of a Tatar woman. Each woman can decide what kind of knot to use, depending on fashion or personal taste. Nevertheless, Garayev doesn't deny that the scarf is currently being tied in the Arab way, and that for many Muslims this is the only proper way. I believe this is connected with the importance currently attached to the hijab as an attribute of a Muslim woman living in the midst of a secular world. At the same time, this has not in any way prevented Rimma Gatina from getting on with her life. She is a journalist whose job involves interacting with people and on the whole she lives a normal life, except that she tries to make it conform to the Muslim canons. For a secular person this logic may be hard to grasp, so I will permit myself a not exactly accurate parallel with Christian nuns. The crucial difference is that Islam doesn't have convents and a Muslim woman in a hijab generally leads a normal life – going to work, looking after her family and the household.Rimma Gatina largely confirms my view. She started to wear the headscarf a few years ago, having, as she says, spent a long time preparing herself for this step. Rimma believes a girl has to reach a certain mental maturity first: by donning the headscarf a Muslim woman accepts all the duties prescribed by the Qur'an. However, Rimma stresses that she has greatly benefited from her decision: “Even when I am just walking down the street, I get fewer inappropriate compliments and men behave with more circumspection – they accept certain behaviour patterns and treat you with more deference. I certainly found that even my acquaintances started looking at me differently, with respect.” This explains the saying that it's easier to put on a headscarf than to take it off, as this inevitably attracts critical comments. This has been made possible by Jadidism, an Islamic movement common among the Muslims in the Volga and Urals region. Originating in the 19th century, Jadidism spread among the Kazan and Crimean Tatars and the Bashkirs. Usul ul-jadid , or “new method” in Arabic, is linked to the reform of education in Islam. In the second half of the 19th century the best Tatar and Bashkir brains concluded that the education system was ripe for reform. Until then, the madrasas used a scholastic system of teaching that basically relied on learning individual chapters of the Qur'an by heart, even though the shakirds (students) often had no idea what they were learning since they were not taught Arabic, the language of the Qur'an. 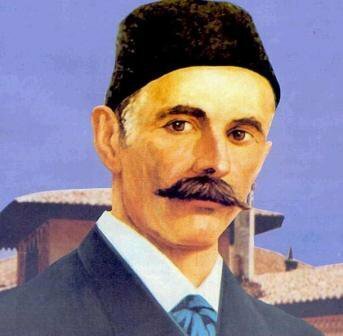 Jadidism is said to have been founded by İsmail Gaspıralı (Gasprinsky), a key social and political figure for the Muslim nations of Russia. He promoted his ideas through his newspaper Tercüman (The Interpreter), which he published during the period 1883 - 1903. The fact that supporters of Jadidism started introducing secular subjects into standard education is particularly significant, says Danis Garayev. Moreover, Jadidism holds that a scholar – a physicist or mathematician – can be an ardent believer. However, we do not do justice to Jadidism to consider it only in terms of education. It is also a free way of thinking. In the late 19th century the Tatar press experienced a boom and religious thinking was stimulated by discussions in the press concerning the further development of Tatar culture and Islam as a religion. Finding a more contemporary, European form for the ethical foundations of Islam became the guiding idea or motto of Jadidism. Was this not the goal of the supporters of the idea of multiculturalism and tolerance, which has gained popularity in Europe over the past few decades and which some have hastened to declare a failure? Reading the Qur'an, you won't find anything in it that would justify regarding Islam as an aggressive culture. After all, the Muslim religion derives from Christianity, Judaism and several other local Arab faiths. Islam, too, embraces the ideas of compassion and it, too, professes universal human values. Aggression and intolerance are characteristics of radical religious movements. This does not only apply to Islamic movements created by individuals with a mission and very often inspired by other motives than religious zeal. Take, for example, the medieval crusades and the brutal methods the crusaders used to impose their order in Palestine. Where in the Bible does it say that the faith of Jesus Christ is to be spread by fire and the sword? Nor does the Qur'an say anything of the kind. The supporters of Jadidism, on the other hand, preached spiritual development. While retaining their Muslim faith, including the five daily prayers, they were modern people who kept up with scientific and technological progress. Jadidism did not originate in a vacuum. In terms of literacy the Tatars were among the top nations in the Russian Empire. But they were literate in their own language: virtually every peasant was able to read and write in Tatar. The move towards further evolution began to evolve in Tatar society and the period saw the emergence of great Tatar writers and philosophers and the birth of the theatre, with classics such as Burudi, Mardzhani and Kursavi. It so happened that at this point history of European civilization was in the vanguard of progress, which made it only natural that the supporters of Jadidism focused on European achievements in their reform activities. The key difference is that Jadidism does not express a desire to take something away from someone, but rather a desire to match up and do just as well! It is rooted in creativity. Dissatisfaction with the present is not channelled into aggression, but into the desire to do as well or, preferably, even better. In order to achieve that you have to improve yourself. Self-improvement is often referred to as the secret of the Tatar mentality. It also explains why Jadidism was born here. The Tatar culture does not strive to preserve a way of life, which inevitably results in backwardness. This might, it seems to me, suggest a comparison with Japanese society. Nobody would dream of accusing the Japanese of having lost their own identity or of having somehow betrayed their traditions or customs. Nonetheless, Japanese society is now a leader in global development. 150 years ago Jadidism envisaged something similar. Yet this development was fated not to reach its logical conclusion. The 1917 revolution interrupted the tradition of Jadidism. The Soviet system did not tolerate anything except atheism. Those 70 years left their mark and it is only since the late 1980s that the ideas of Jadidism have begun to attract new followers. However, by that time Wahhabism had also found its way into Tatarstan. In the 1990s young people were actively encouraged to study in the Middle East, because at that point we did not have our own Islamic teachers, and some of our students absorbed the ideas of this radical movement. The supporters of Wahhabism may not be very numerous in Tatarstan, but they are energetic and decisive. Nevertheless, most Muslims in the Volga and Ural regions will not adopt Wahhabi ideas. To my mind the difference between Jadidism and Wahhabism is immediately obvious. Wahhabism originated in the 18th century in Arab countries and aimed to overthrow the Turkish yoke, so militarist aggression was part of its DNA and it will always be preoccupied with seeking an enemy – be it the Ottoman Empire, Western civilization or representatives of other branches of Islam. Wahhabism denies any alien culture, whereas Jadidism urges its followers to make use of all of civilization's greatest achievements. Garayev stresses, however, that the Soviet attempts to create a “new community – the Soviet man” have left a negative legacy. Both Tatars and Russians lost some of their traditions, particularly religious ones, which might explain why nobody minds much whether a headscarf is tied in the traditional Tatar way or the way Arab colleagues are telling us to do it. Along with the collapse of the Soviet Union and the demise of the communist idea, the ideological element, which in the past had to a large extent supplanted religion, also disappeared, leaving behind a rather amorphous mass of people. Danis Garayev believes that, when it comes to nationality or religious beliefs, most of the people in this mass do not care about each other. But this is not true in every respect. Many still remember that the nation used to have its own culture and religion and the number of both Russians and Tatars disturbed by this keeps growing, possibly slightly faster among the Tatars. If you look inside any Kazan mosque during Friday prayers you will find it completely packed with people, and young people at that. They are no longer satisfied with the vulgar pseudoculture pouring out of the screens of Russian television, and they are looking for their roots, particularly in religion and language. The Tatar culture and tradition, says Danis Garayev, is facing a new challenge. And whereas in the 19th century the assault came from the West, now we have to resist a challenge from the East. 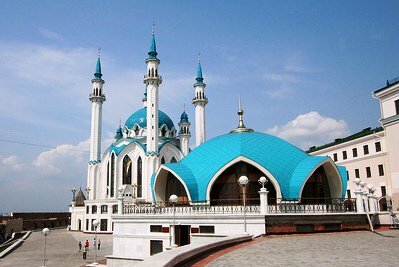 The Muslims of the Volga and Urals have to mobilize an intellectual response, just as they did over a century ago... [to promote] a peaceful, progressive and educated Islam as an alternative to religious fanaticism, fundamentalism and aggression. The Muslim East is also experiencing globalization, but it's a Wahhabi globalization. And again the Muslims of the Volga and Urals have to mobilize an intellectual response, just as they did over a century ago. Prohibitive measures are not proving effective, so a return to the ideas of Jadidism is a natural response: a peaceful, progressive and educated Islam as an alternative to religious fanaticism, fundamentalism and aggression. The sight of a girl with a headscarf or hijab does not scare anyone in Kazan: everyone knows that she is not some downtrodden housewife or a future suicide bomber, but that she might well be a major scholar, a successful journalist or simply a good person.